Bill Leach is a veteran trial lawyer who has tried nearly 100 cases to verdict in Oklahoma, Texas, Arkansas, Kansas and New Mexico. 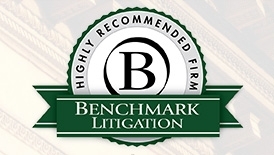 He has successfully tried jury cases for clients in the insurance, utility, trucking and transportation, securities, manufacturing and service industries, and concentrates his practice on insurance claims and coverage disputes, claims of bad faith against insurers, product liability defense, mass torts and class action litigation, multidistrict litigation, and complex business litigation. In 1982, Bill began private practice in Texas and became one of the youngest attorneys to complete the requirements for dual certification in personal injury trial law and civil trial law by the Texas Board of Legal Specialization. He returned to Oklahoma in 1990. Bill regularly practices before all state and federal district courts in Oklahoma, including the northern, western and eastern districts. He has also tried cases in state courts in Kansas, Arkansas, Texas and New Mexico and several federal district courts in Texas. He has argued numerous appeals in the Fifth and Tenth Circuits, as well as several courts of appeal in Texas and the Supreme Court of Texas. 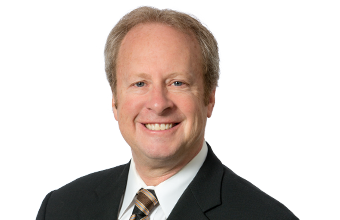 In addition to his litigation practice, Bill serves as an adjunct settlement judge in the Eastern District of Oklahoma and as an adjunct professor of trial advocacy at the University of Tulsa College of Law. He is also a frequent speaker and continuing legal education teacher on trial practice and multiple substantive topics. His achievements as a trial lawyer have earned him induction in the American College of Trial Lawyers and inclusion in Benchmark Litigation, Chambers USA Guide to America’s Leading Lawyers for Business, The Best Lawyers in America (commercial litigation; insurance law; mass torts litigation / class actions – defendants; personal injury litigation – defendants; product liability litigation – defendants) and Oklahoma Super Lawyers, in which he was also honored as one of the “Top 50 Oklahoma Lawyers.” He was selected by Best Lawyers as the “Tulsa Product Liability Defense Lawyer of the Year” for 2017 and 2019, honors given to a single lawyer in each legal specialty in each market. Prior to joining McAfee & Taft, Bill was a founding partner of Tulsa-based Eldridge Cooper Steichen & Leach, a partner with Tulsa-based Rhodes Hieronymus Jones Tucker & Gable, and a partner with Texas-based Gibson, Ochsner & Adkins. Obtained dismissal for oil and gas operating companies following removal under the Class Action Fairness Act of 2005 (CAFA) to federal court in a putative class action where the plaintiffs alleged tort claims relating to the alleged release of toxic substances from disposal facilities. Judgment affirmed on appeal to the Tenth Circuit. Obtained a defense verdict of no bad faith in a case in Jackson County, Oklahoma, against a major personal lines insurer involving claims of bad faith handling of an uninsured motorist claim and involving a demand of $5 million. Obtained a jury verdict in Tulsa County in favor of a major manufacturer of microwave ovens in a lawsuit involving allegations of defective design and manufacture of the microwave oven’s control panel, allegedly resulting in a house fire. Obtained a declaratory judgment of no insurance coverage for a commercial insurer following a trial where the primary issue was whether the claimant was an independent contractor or an employee of the covered business entity. Obtained a multi-million dollar jury verdict for an Oklahoma metal alloy broker against a multi-national corporation which owned and operated steel mills which had failed to take and pay for contracted quantities of metal allows following the economic crisis of 2007. This recovery allowed the company to remain viable. Obtained a jury verdict in Sedgwick County, Kansas, in favor of a major motorcycle manufacturer in case involving allegations of breach of UCC warranties and alleged violations of Deceptive Trade Practices Act. Obtained a favorable result for an operator of a roller coaster attraction following several accidents involving personal injury at a state fair. Obtained a verdict in Midland, Texas, for a manufacturer of gaming equipment and a veterans organization which were conducting a lottery operation. Local law enforcement believed that the lottery was an illegal gambling operation. The suit determined that the lottery operation was legal. Obtained a jury verdict in favor of a utility company sued by a house mover who was electrocuted after coming in contact with uninsulated high-voltage transmission lines. Obtained a jury verdict in favor of a major domestic automobile manufacturer in a suit involving allegations of defective design of an alternator. Successfully represented an electrical contractor in a license revocation trial/hearing before a state electrical licensing board in proceedings which were instigated by an international trade association. Obtained a jury verdict in favor of an electrical utility in an electrical contact injury matter in Potter County, Texas. Obtained a jury verdict in favor of a trucking company in a case involving allegations of serious personal injury and driver negligence and gross negligence in Ochiltree County, Texas. Obtained a jury verdict in the Eastern District of Oklahoma in favor of a major paper manufacturing company in a case involving alleged retaliatory discharge for filing a workers’ compensation claim. Obtained a favorable result for a major brokerage house and a financial advisor in arbitration proceedings held by the National Association of Securities Dealers. Obtained a jury verdict in the Northern District of Texas in favor of a trucking company accused of negligence and gross negligence resulting in multiple fatalities. Obtained a jury verdict in the Northern District of Texas in favor of a national talent search firm accused of failing to properly place a heart surgeon. Obtained a jury verdict in the Northern District of Texas in favor of an industrial facility in a case involving allegations of defect in a pressure vessel and negligence resulting in severe burn injuries. Obtained a jury verdict in state court in Tulsa, Oklahoma, in favor if a health club in a case involving allegations of negligent operation resulting in personal injuries. Obtained two separate jury verdicts in the Eastern District of Oklahoma in favor of a national manufacturer of industrial cracker making machines in separate cases involving allegations of improper design and improper guarding. Obtained a jury verdict in favor of a national trucking company in Moore County, Texas, in a case involving death allegedly resulting from driver negligence and gross negligence. Obtained a jury verdict in Washington County, Oklahoma, in favor of a farming implement operator in a case involving allegation of serious personal injury resulting from alleged operator error. Obtained a jury verdict in Beaumont, Texas, in favor of a manufacturer of a heat exchanger which exploded in a petrochemical plant. Obtained a jury verdict in the Northern District of Oklahoma in favor of a heat exchanger manufacturer which allegedly failed to hire an applicant on the basis of criteria prohibited by EEOC. Obtained a jury verdict in Latimer County, Oklahoma, in favor of a trucking company in a case involving allegations of driver negligence and severe closed head injury. Obtained two separate jury verdicts in favor of an electrical utility in Lubbock County, Texas, in separate cases involving negligence resulting in fatalities resulting from alleged violations of National Electrical Safety Code. Obtained a jury verdict in favor of an electric utility in Carlsbad, New Mexico, in case involving allegations of electrical contact injury and violation of National Electrical Safety Code. Obtained a verdict in Hobbs, New Mexico, favor of an electric utility in a case involving allegations of electrical contact injury and violation of National Electrical Safety Code. Obtained a jury verdict in the Northern District of Texas in favor of a municipality in a case involving allegations of violations of civil rights resulting in assault and personal injury. Obtained a jury verdict in Potter County, Texas, in favor of a national retailer in a case involving allegations of personal injuries resulting from negligence in operation of the retail facility. Obtained a jury verdict in favor of the driver of an emergency vehicle and an emergency service provider which allegedly failed to yield to traffic in an intersection, resulting in fatality. Obtained a jury verdict in Tulsa County, Oklahoma, in favor of an intra-state railroad involving a fatality resulting from an alleged violation of the Safety Appliances Act. Obtained a jury verdict in Wagoner, Oklahoma, in favor of a national electrical contractor which had allegedly terminated a union affiliated employee in violation of public policy. Obtained a jury verdict in favor of a major paint manufacturer and retail outlet in Okmulgee, Oklahoma, in case involving allegations of defective construction. Obtained a judgment following a jury trial in Tulsa, Oklahoma, in favor of a national manufacturer of medical devices in case involving a contract dispute with a departing physician. Defeated a request for a temporary restraining order for a national securities broker in case involving allegations of violation of restrictive covenants and non-compete agreements. Obtained numerous defense verdicts in multiple counties in Texas in workers’ compensation cases prior to implementation of administrative workers’ comp system in Texas in 1990. Obtained two separate jury verdicts in favor of a national retailer in Potter County, Texas, in cases involving allegations of false imprisonment and false arrest. Obtained a jury verdict in the Northern District of Oklahoma in favor of a heat exchanger manufacturer which had allegedly terminated an employee in violation of federal anti-discrimination statutes. Obtained a jury verdict in favor of a national food processing manufacturer and distributor in a dispute over a leased manufacturing and processing facility. Obtained a jury verdict in Randall County, Texas, in favor of a national trucking company in a case involving allegations of serious injury resulting from alleged driver negligence and gross negligence. Obtained a jury verdict in the Northern District of Texas in favor of an interstate railroad in a case involving allegations of negligence in operation of train resulting in fatality. Obtained a jury verdict in federal court in San Antonio, Texas, in a case involving lease dispute and allegations of violations of Texas Deceptive Trade Practices Act. Obtained a verdict in favor of equipment leasing company in Bankruptcy Court for the Northern District of Texas in a case involving issue of whether lease transaction was actually a financed sale. Obtained a jury verdict in Randall County, Texas, in favor of a real estate sales agent accused of fraud. Obtained a jury verdict in Potter County, Texas, in favor of a trucking company in case involving allegation of driver negligence resulting in personal injury. Obtained favorable settlements during jury trials for manufacturers of boom lifts and scaffolding which allegedly collapsed causing the occupant to fall to the ground and sustain fatal injuries, and allegedly resulted in severe electrical burns, respectively, in state courts in Oklahoma and Missouri. Obtained a jury verdict in Oklahoma County, Oklahoma, in favor of a manufacturer of sports and fitness equipment in a product liability case involving allegations of negligent design and failure to warn resulting in crushed hand.